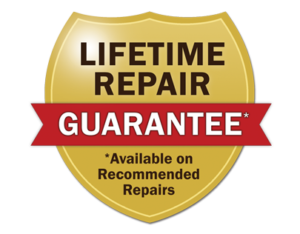 At Larry and Sons, we are extremely proud to offer a Lifetime Guarantee on all recommended repairs. This guarantee provides our customers with significant savings on parts and labor should they need repeat service after paying for a recommended repair. Our Lifetime Guarantee is valid for as long as you own your home. When we recommended a repair and the homeowner accepts the recommendation, he or she becomes eligible for the guarantee. Consumable parts, like filters, batteries and light bulbs are not covered as they are intended to be replaced regularly, but services like installation or repair of light switches, plumbing fixtures, etc. are covered. In some instances, only a part of a unit is covered by the warranty. An example of this would be if the blower motor in a furnace is replaced. The guarantee does not cover the entire furnace, but the blower motor is covered until the entire unit is replaced. Our guarantee covers approximately 90% of all the jobs we perform. We know that spending money on a repair service is sometimes a difficult decision, and we want our customers to feel confident in their choices. Anytime a homeowner agrees to a repair recommended by one of the experts here at Larry and Sons, they can rest assured knowing that any future repairs needed on the covered service will be paid for in full by our Lifetime Guarantee. 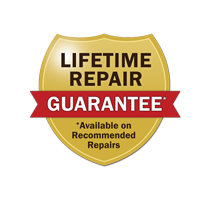 Our Lifetime Guarantee on recommended repairs covers both parts and labor. Once you have a problem fixed by Larry and Sons, you never have to worry about paying for that problem again for as long as you own your home. Our Lifetime Guarantee does not transfer in the event that you sell your home. For more information about our Lifetime Guarantee or to schedule a service with Larry and Sons, give us a call today at 301-733-5428.